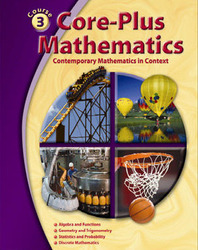 The series builds on the theme of mathematics as sense-making. Through problem-based investigations featuring realistic contexts, students develop a rich and connected understanding of important mathematics that makes sense to them. A full-volume student edition available in print, CD-ROM, and online formats.